Finding a way of betting more smartly is a huge goal for many people. 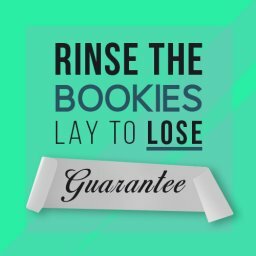 Are you fed up of losing money to the bookies too? In this article I’ll be covering Caan Berry Video Pack Review and Caan Berry Pre Race Trading Guide Review. There are a few different ways of trying to boost your chances. One of these is to look at what Caan Berry offers. This trading expert has a couple of different products for you to check out. 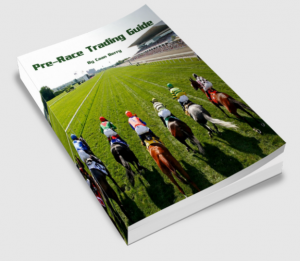 The first is a pre-race trading guide. The other is a video pack. Will one of them be right for you? With this Caan Berry video pack review and Caan Berry pre race trading guide review we will look at both. Let’s see whether one or both products could help you to win more. The man behind these products explains a lot about his life on his own site. From working in McDonalds to serving in the Army, he took some time to find his path in life. In 2008, everything changed and he decided to seek a new way of living. He learned betting strategies the hard way from then on. Now, he has firmly established himself as a successful and respected betting expert. Caan now trades betting exchanges full time for a living. The man himself presents his videos, so you will soon get to know him. He has a nice presenting style that makes it easy to learn the details of the trading market. You can also keep up with him on social media and on his blog. The strategies used here are based on the sports Betfair trading market. This means that they help you to maximise profits and minimise losses over and over again. The Caan Berry sites covers all sort of sports betting. Horse racing, tennis and football are all mentioned on there. 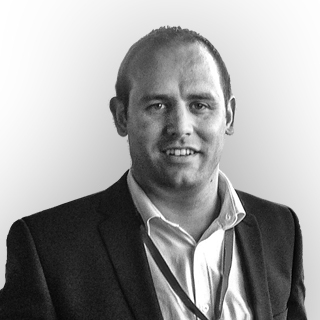 He covers in-play trading, Betfair swing trading and scalp trades as well. This means it is a fairly varied approach that he talks about. Each of these methods is covered in detail on his main site. You can then find out more by then paying for one of his online training courses. 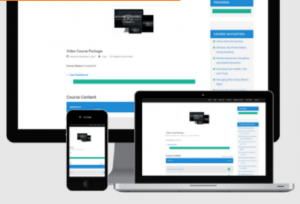 The video pack is a course with 22 modules. This includes a staggering 102 videos. 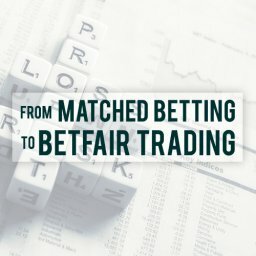 It covers pretty much all aspects of trading at Betfair. As for the pre-race guide, this is all about maximising trading efficiency. 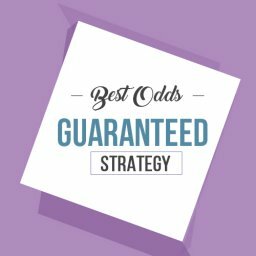 It shows you how to get started confidently on this type of betting. You get a 118 page PDF book with this pack. Naturally, all of this content covers a range of strategies. There are numerous different ways of trading that Caan takes you through. Of course, the more strategies you are aware of the better. If we look at the video pack course we can see some examples of this. There are videos on anticipating drifting prices and scalping broken down. You will also find the likes of swing trading examples and multiple trading styles. One of the great things about trading is that there is no need to start off with a huge pot of cash. Unlike other types of betting, you won’t need to wait for the wins to come along. Instead, you will be maximising wins and minimising losses from the start. This means that you can get started with a fairly modest sum of money. The key is to then grow it steadily. So, you don’t need to risk a huge amount of money. Neither is it necessary to wait until you build up your savings. On the Caan Berry site £200 is mentioned as a possible starting pot. This is a decent figure to bear in mind but it isn’t set in stone. If you start with this figure then £2 stakes are mentioned as being a suitable approach. The site’s Beginner’s School section covers basics like this. The key with this sort of betting strategy is to win constantly. This can mean picking up small but regular wins each day. Even modest wins will soon build up your profit if they rolling in. At other times you might get bigger winnings. However, you aren’t setting out to try and win a fortune on one magical bet. Instead, you are taking the safe and steady approach. You aren’t risking your own money or gambling on Lady Luck giving you a giant win. This is a gradual process. Caan’s site addresses the question of how much can be earned through trading. 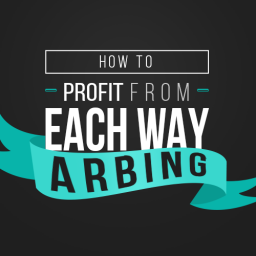 He gives a few examples of how you can trade profitably. For instance, he shows how a certain bet on a horse race could go. Since trading involves 2 bets there are 2 different outcomes. In his example, you either win £9.47 or £9.43. This sounds too good to be true to many newcomers. Yet, this idea of always winning is at the very heart of sports trading. You should look for every possible outcome to turn you a small profit. By making enough of these trades you can then look to earn a good, regular income. Bearing all of this in mind, there is no hard and fast answer to this question. It all depends how many trades you find and take advantage of. Caan acknowledges that some people make “mind-blowing” amounts of money by trading on sports. He also says that others don’t make anything from it. Caan himself seems to make a very good living from full time trading. This is another point that really depends upon your approach. Will you make this a full-time commitment? Only trade when you have some spare time after work? Will it be a weekend task? Therefore, before signing up for either package you will want to consider this. Are you happy that you will trade enough to pay for the cost of either package? If you don’t make enough trades then it could be a waste of money. If you have a busy lifestyle then you might struggle to find enough time for it. On the other hand, if you have lots of spare time then this could be an ideal hobby. This issue is really linked to the last point about how much you can make. The more time that you dedicate to it the more money you should earn. Don’t forget that you need time to go through either of these guides first of all. There is a lot of content here that you need to go through before you make your first trade. Simply diving in without learning the basics isn’t recommended. This isn’t a magical formula to earn money without any effort. You need to put the time into it in order to make good profits. All you need to get started is a device connected to the internet. There is a lot to go through in the training so a good connection is essential. All of the products offered by Caan Berry are guides to be read or watched online. After that, you just need to be able to place your bets online. 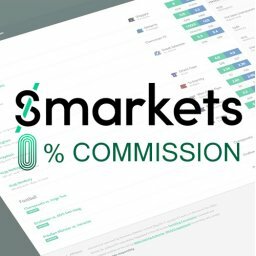 Other sites give the trading software for you to use on your PC. You just need to be able to download it. In terms of software, Caan says that he uses Geeks Toy. This is available as a free trial for any new users. Will the Course Be Right For You? Does this course contain the sort of information that you need? After all, it isn’t the only option out for getting started on smarter betting. The comprehensive nature of these training packages means that they are suitable for newcomers. They are also likely to appeal to anyone who wants to know everything before starting. If you already understand sports trading then the pre-race pack may be too basic for you. It will cover a lot of the stuff you already know about. Equally, the video pack is aimed at people who already understand the basics. It may be overwhelming for newcomers. The secret is in choosing the right course for your current level. If you do this then you will be on the road to success. What’s the Difference between the Pre-race Guide and Video Pack? As we have seen, these are 2 different products to be reviewed here. Indeed, there are 5 products currently sold on the Caan Berry site. So what are the main differences between the 2 we are looking at? The video pack course is his most popular product. At £147 it is also pretty expensive. Pre-race guide costs a more modest £39. As the price difference, suggests this is a less comprehensive package. The pre-race guide will just get you started. The video pack will give you what you need to more fully understand the market and the different strategies. There is nothing to stop you from starting with the pre-race guide before moving on to the video pack later. Other products on his site include the Paperback: Betfair Trading Made Simple at £8.99. Then there is the Audio Book: Betfair Trading Made at £17.99. Finally, the Tennis Training Guide costs £39 just now. What Do You Get in the Pre-Race Trading Guide? This pack comes with a 188 page book in PDF format and a bonus video. The content can be viewed on desktop computers or mobile devices. You also get lifetime access to future updates. You also get an audio transcription of the video. Overall, it is a beginner-friendly package that starts you off gently. However, the video is from the more advanced video pack that we will look at shortly. You won’t be overwhelmed with information. However, it should be enough to get you started comfortably. A lot of your basic questions will be covered here. Once you have got to the end of it you should be ready to start placing your first trades with confidence. 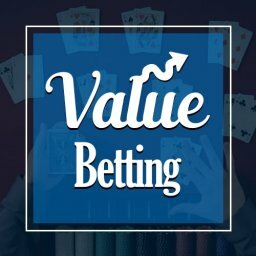 This is a solid choice for anyone looking to get to grips with sports trading. If you are starting from a position of zero knowledge then it will get you up to speed quickly. On the other hand, what if you already understand the basics? In this case, you may find it to be a bit too simple. It doesn’t really cover enough of the advanced issues for an experienced user. Therefore, it is worth thinking about your current knowledge level. You will also want to consider your goals. Do you just want a fairly gentle introduction to the subject? If you do then this is a sensible choice. You will soon be itching to get started in earnest. What Do You Get in the Video Pack? This is a more advanced and comprehensive option than the one we just looked at. You get 22 course modules with 102 videos on here. Again, the videos can be watched on desktop or mobile. They also come with audio transcriptions. You also get 11 PDF checklists too. This means that you will need to dedicate a lot of time to watching it all. The sheer volume of content makes this seem like a slightly daunting prospect. It is best viewed as something to dip in and out instead of watching in one or two sittings. Thankfully, the videos are very clearly presented and engaging. Watching them is fairly entertaining and certainly doesn’t feel like a slog. 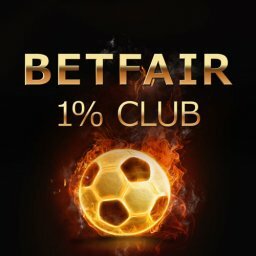 You will definitely start to get a good feel for Betfair trading early on. After this, each new video will help to build your knowledge and confidence. You should probably have at least an idea about sports trading before you start on these videos. It is probably too advanced for someone who is completely new to the subject. A good variety of subjects is covered. From Managing Risk: Doing What’s Right to Anticipating Drifting Prices and Trading the Irish Betting Markets, there is plenty of variety. There is no doubt that a lot of useful tips are covered here. The only possible problem is that you might feel overwhelmed by the volume of content. It is important to take it slowly and calmly. If you do this then you will gain good benefits from this pack in the long run. Both of these packs come with good support options. You can send Caan a message by email or over social media. He will then get back to you as soon as possible. He also regularly answers customer questions on his YouTube videos. Users who have contacted him report that he is friendly and approachable. Of course, with so much content he probably answers most of your questions in his guides. However, it is reassuring to know that support is at hand when needed. If you get confused or lost then you should definitely give him a shout. One point you may wonder about is whether the Caan Berry packages are the best option for you? Or is there something better out there that suits your need more? One of the main rivals to this site is called Betfair Scalper. This is a fairly simple introduction to scalping Betfair in the run-up to a race starting. Betfair Scalper offers over 8 hours of content with more than 100 videos. At the time of writing, the cost is £89.97. This is a good guide that covers a lot of the same ground as the Caan Berry video pack. It is more comprehensive an in-depth than his pre-race trading guide, though. 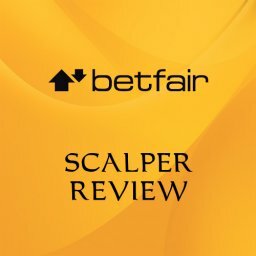 Betfair Scalper is suitable for newcomers. Therefore, it is one package that will guide you from start to finish. With Caan Berry, beginners would be well-advised to start with the pre-race guide. Once comfortable with the basics, they can then move on to the video pack if they want to. This means that Betfair Scalper is suitable if you want everything in one package. If you want to take it one step at a time then the Caan Berry approach will probably suit you best. In terms of price, Caan Berry is more expensive if you get the video pack. The pre-race guide is cheaper, though. So this might suit you if are just testing the waters. Both methods have received good reviews and are seen as sensible ways of starting to trade on sports. If you are really serious about making your trading pay, I’d buy both products. The Caan Berry site gives you a couple of different ways of making money from the sports trading market. The option that you chose will most likely come down to the stage that you are at. If you taking your first steps in this type of betting then the pre-race pack is a good start. 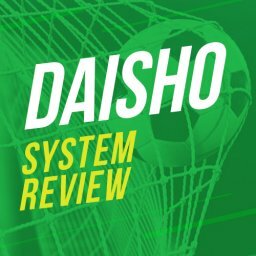 If you are already fairly knowledgeable then the video pack will take your betting to the next level. Provided that you have the time to make the most of these packages they should make you decent profits over time. Have you tried Caan Berrys products? Let us know how you got on in the comment section below.